The loans that are commonly amortized are personal loans, auto loans, and home loans. 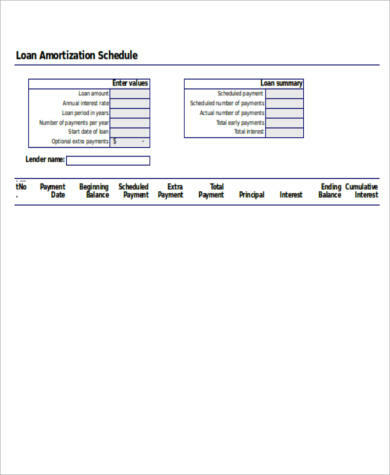 A loan amortization is a loan that is paid gradually through a period of time, and consists of a principal and interest. They are usually borrowed from banks, lending institutions, or from debt consolidation. Loan amortization also makes your payments affordable since they can be paid through installment on a fixed rate every month for the duration of the loan. 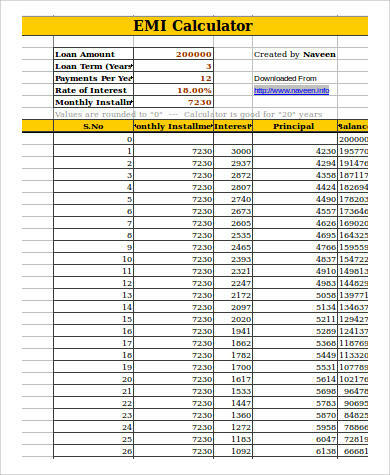 Here we provide you with sample loan amortization charts that can surely help you with organizing and keeping track of your amortization records. 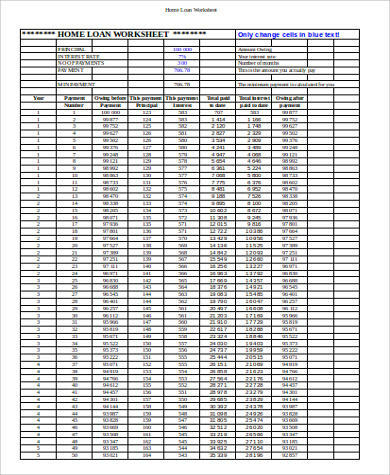 We also have time Sample Timecard Calculators available for you to download online. Personal Loans – This is the type of loan that you can get from banks, money lenders, or lending institutions with fixed interest rates and monthly rates. Personal loans are used mostly for small projects and it is usually a two- to three-year term loan. Home Loans (rent/mortgage) – They are long-term loans that usually last for 15 years or 30 years with a fixed mortgage. Auto Loans – Car loans are paid on a monthly basis and are often paid in a five-year term. This is also paid with a fixed monthly rate. Cars or vehicles come in different prices, so the monthly payment amount will also vary. Intangible Assets – These are assets that are not physical in nature. Examples are intellectual properties, patents, trademark, copyrights, and brand recognition. Annual Subscriptions – These kinds of subscription can be paid monthly in exchange for products or services. The payment method is similar to that of an amortized loan, which is on a monthly basis. Credit Cards – You can borrow money every month from a credit card. You only pay the amount you borrowed by the next month. 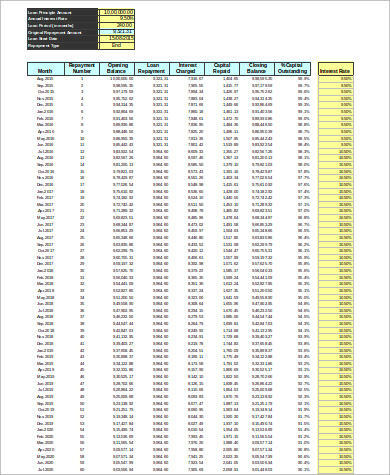 To help you keep your amortization schedules organized and up-to-date, you may check out our Amortization Schedule Calculator Samples. In every deal there will always be pros and cons. 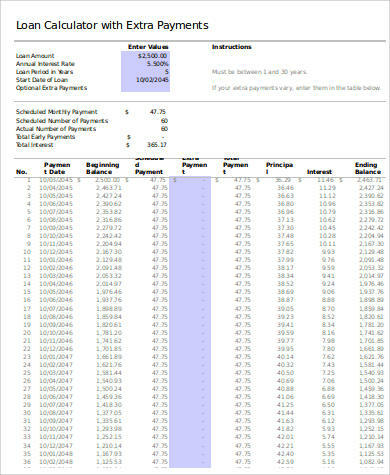 One of the pros of loan amortization is that it offers a clear monthly setup for the borrower. It also makes owning a house or a property affordable. You will find amortized loans easy to track because the amount to be paid each month is already given and is in a fixed rate. Since loan amortization is offered by banks and various lending institutions, finding one that fits your needs is not that hard. Another advantage is that it helps you with budgeting knowing that your payments will stay the same every month. 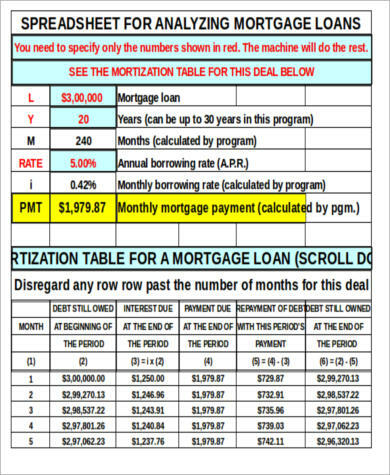 The disadvantages of loan amortization is usually related to equity. Because it comes with interest rates, you are likely to be paying more than what you borrowed. 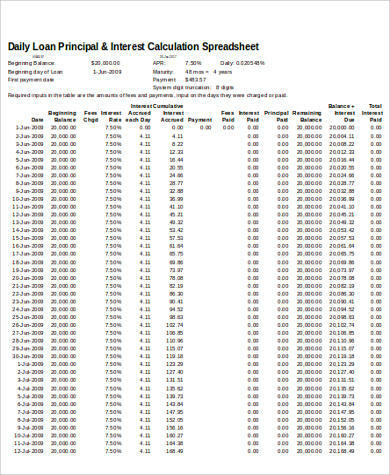 In some cases, the interest rate is paid first before the principal amount. Amortization also goes against a lot of borrowing principles that are established by consumer advocates. As much as possible we avoid borrowing money, for the process seems to be tedious and paying it back might get overlooked. 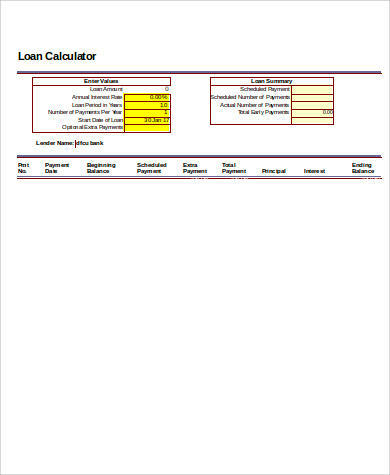 Loan amortization charts together with Loan Calculator Excel Samples are helpful tools to keep you organized and on track of your amortization schedule and payments. 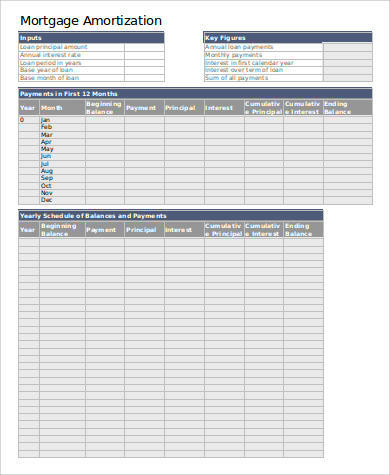 What Does a Gantt Chart Show?